Entry is free; donations welcome to continue the series. 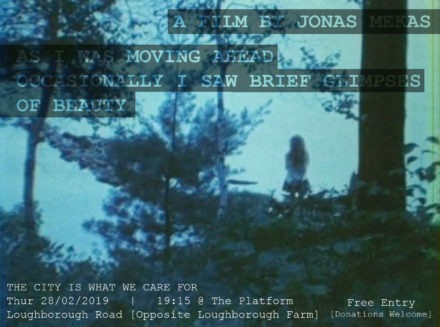 The first film of the year in our The city is what we care for series will be by avant garde poet / filmer Jonas Mekas. and that is, that I am not really a filmmaker. what is happening right there. my friends, whatever I see.